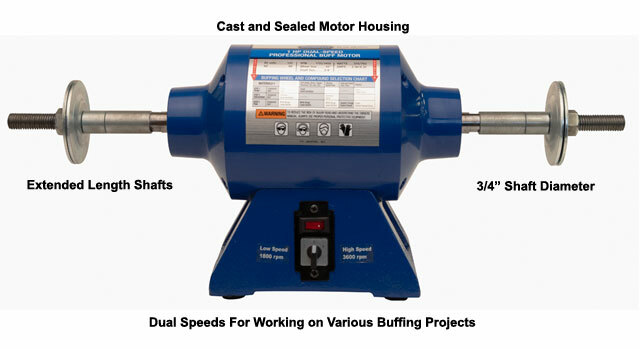 1HP Dual Speed (1720/3400rpm) Buffer High value, professional preferred motor offers the utility of dual speeds perfect for buffing metal and plastics. 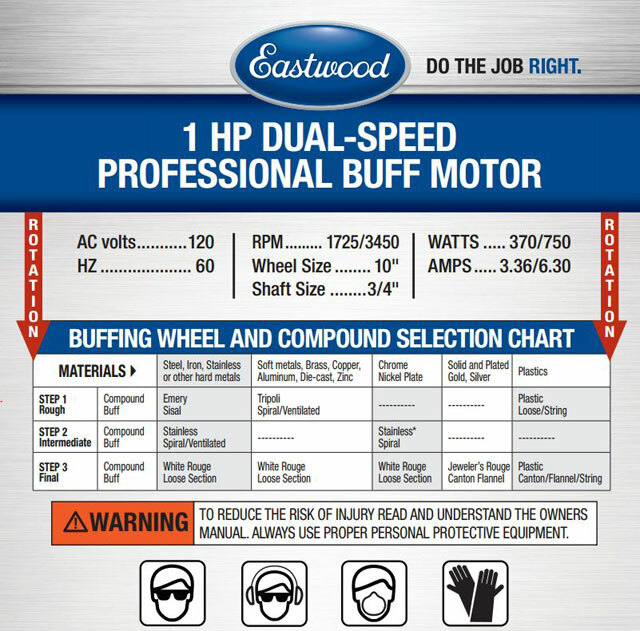 Eastwood Buff Motors are designed for the DIY'er and pro alike. Cast housings and bases ensure a smooth operation and extended bearing life. the 120VAC motor operates on a standard 15-amp circuit. Extended length and balanced shaft allow more room around the buff wheel and can be worked hard without any sign of motor stalling. 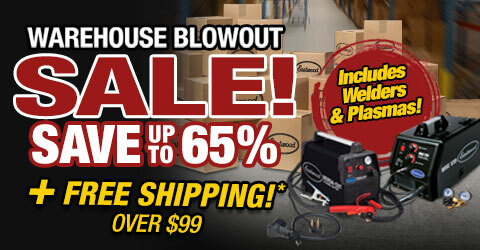 This unit provides a rigid platform for almost any polishing or buffing project. Buff wheels are not included and sold separately. NOTE: Condition of the workpiece dictates the steps necessary. Some pieces may only require final finishing (Step 3). 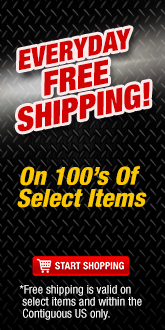 Wear appropriate ANSI-approved safety eye protection, ANSI-approved hearing protection, 14" or longer leather gloves, and ANSI-approved respiratory protection.